The quality of air in your home can dramatically affect your well-being. Here are a few recommendations on what can be done to improve your indoor air quality. There are quite a few tell-tale signs that your indoor air quality is in need of some TLC. One of the first things you will notice is that there seems to be more dust in the air and on the surfaces of your furniture. Another is to look along carpets where the walls meet the floor, if you notice a black line along the edge as well as under doors this is filtration soiling and is another sign that you may need duct cleaning. 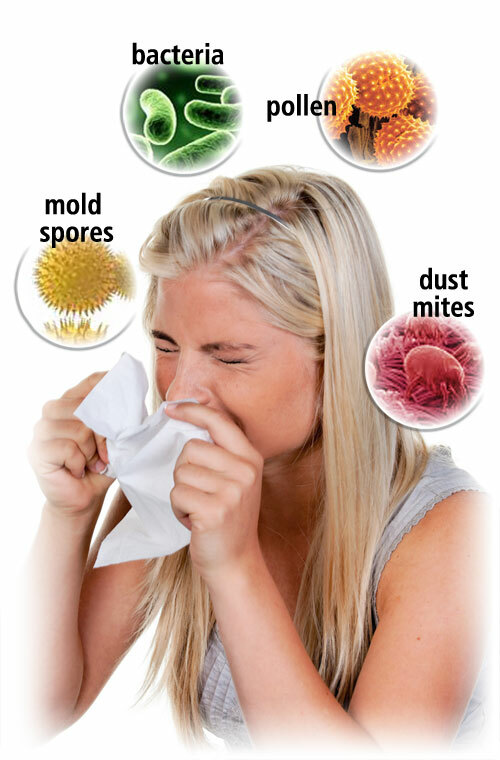 Excessive allergic reactions, sneezing and watery eyes along with frequent colds are signs that your indoor air quality may be poor and you need to do something about it. With OHSG (Ottawa Home Services Group) we can certainly help your situation. Here are the steps to improve your air quality in your home and to maintain it. Do you know what are in your ducts? Usually the first step is to have your air ducts inspected and cleaned by a reputable Ottawa duct cleaning service like Ottawa Home Services Group. Including in our duct cleaning is an inspection of your furnace and HVAC system along with some great suggestions on how to make things a lot better in the home, regarding air filtration and air flow. Another very important thing is to change your furnace filter regularly. This is something so many people overlook, but the results are very apparent. If you keep your filters clean, you keep your duct work clean. This in turn will result in much more efficient air flow, a reduction on electricity and heating costs, and will be less stress on your HVAC systems overall. This way you save money and your family’s health all in one step. Finally starting with a clean slate by having a deep clean including a 2 day rental of our HEPA 500 air scrubber will ensure that your home is completely dust free and you can breathe easy.